A man found it in west London and handed it into the paper, it said. The Sunday Mirror said there were at least 174 documents on the stick, which it said was found on the pavement, and some were marked as "confidential" or "restricted", but could be read. Some files disclosed the types of ID needed to access restricted areas, a timetable of security patrols and maps pinpointing CCTV cameras, the paper said. One document highlighted recent terror attacks and talked about the type of threat the airport could face, it said. 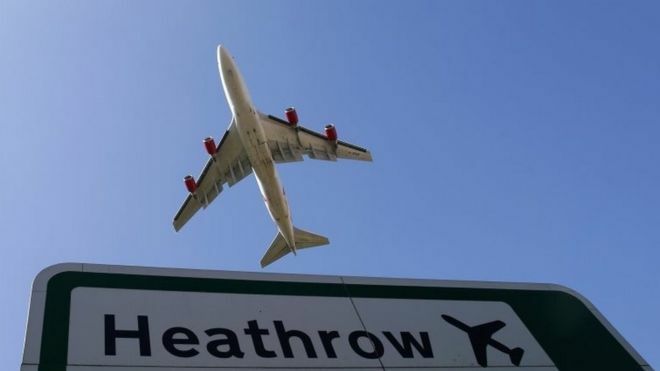 The information has been passed to Heathrow intelligence chiefs, the Sunday Mirror said. The statement from the airport said Heathrow's "top priority" was the safety and security of passengers and staff. "The UK and Heathrow have some of the most robust aviation security measures in the world, and we remain vigilant to evolving threats by updating our procedures on a daily basis."